Dawn Evans is serial entrepreneur, public speaker, business coach and qualified professional trainer. Dawn has a background in the military, leisure industry and as a college lecturer. 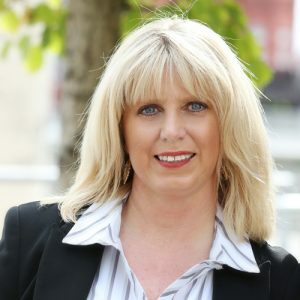 She is currently CEO of a multi award winning Vocational Training Company, and co-founder of Wales biggest ever Education Show have given her a vast amount of skills and experience as a budding entrepreneur. Over the past 15 years Dawn has developed a reputation for successfully delivering and implementing a variety of training programmes. Dawn has a vast amount of business experience and specialises in motivating, inspiring in developing start up business. With a degree in coaching and mentoring for Entrepreneurial Practice, she has used this qualification and put it into practice developing and creating new entrepreneurs of the future. In addition to Dawn’s role as a multi award winning business owner, Dawn is also a Role Model for the Welsh Government Big Ideas Program. This involves delivering presentations on Entrepreneurship, where she takes the time to share her experiences with students in order to inspire confidence and motivation to consider launching their own company in the future. Dawn is also a business mentor for the Princes trust, a role she has found very rewarding as she mentors young individuals with a disadvantaged background to start his/her journey into Entrepreneurship. Dawn is also proud owner of a growing property portfolio, she bought her first house at the young age of 19, since then has built up a portfolio in the UK and internationally. Dawn has worked with many budding entrepreneurs, who now run successful business too. She thrives on watching others succeed!